Software Development is one of our specialisations here at eTraffic Applications. 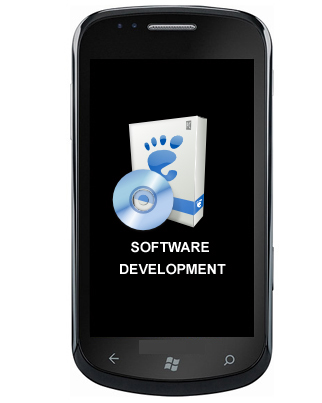 We have a team of competent and highly-skilled software developers for mobile devices. Our company's extensive experience in developing mobile applications and software is your guarantee that we only produce excellent products and services. eTraffic Applications offers companies of custom made software that can help boost their business. We understand the level of competition among businesses today; hence any edge that companies can obtain may prove to be the advantage that separates them from the rest of the pack. With the popularity of tablets and smartphones comes a new demand from the market. Companies have to keep up with the fast and changing pace of technology available to consumers. The abundance of mobile devices such as tablet computers and mobile phones means that there is a whole new channel for businesses to reach out to consumers. As a result, competition has also been stiff in this platform. Our team at eTraffic Applications can help you boost your business by seizing the opportunities in the field of software development. We, at eTraffic Applications, specialise in developing software and applications for the various mobile operating systems such as Android, Blackberry, Windows and iOS. We know the importance of having a software/application available across platforms so we made sure that we can develop on every major OS. We have a team of highly skilled software developers who can basically program any software that your company requires. Companies would be wise to invest on developing softwares that can help promote their brand and provide convenience to their customers. eTraffic Applications is here to provide you with excellent Software Development Services that will be useful to your business. The iPhone and iPad are two of Apple's most popular and widely used products. Statistics show that iPhone is still the leading smartphone, with more units sold that any other specific smartphone model. This means that developing software in iOS is almost a necessity for companies. Businesses with softwares and applications in iOS are almost assured of a good number of audience, taking iPhone's popularity in consideration. Android, the equally popular OS from Google, is also a good platform to develop softwares and applications. Most smartphone makers and brands are run by the Android OS; hence; it only makes sense to make your software available to the users of this platform as well. The other mobile OS such as Windows and Blackberry are also picking up steam, thus making them an equally viable Software Development platform. Our team of software developers at eTraffic Applications conducts the necessary processes to ensure that we are producing the best software for your company. Get in touch with us and we'll have a team of excellent software developers ready to help you. Give us your Software Development requirements and you can be assured that our team will work on it at the best of their abilities. eTraffic Applications is here to provide you with nothing but the best service possible.